JetParks Manchester Airport is ideal for stays between 1 and 2 weeks long and when prebooked is often cheaper than the other offsite parking that can be found in the area. Situated just 5 to 10 minutes from terminals 1, 2 and 3 it is a great place to park your vehicle safe in the knowledge that it will be secure. There are 3 to chose from at Manchester Airport all of which have 24 hour security and onsite assistance taking away the stress of leaving your pride and joy while you take a flight to your destination. 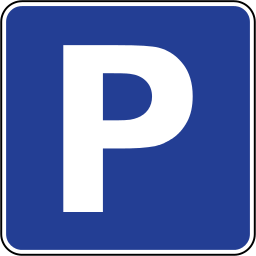 To get the best rates for parking at the Jetparks it is best to pre book and plan ahead. Jetparks 3 can be found by following the signs for Cheadle then Styal from the airport site. JetParks 3: postcode is M22 5WD. When entering the car park all you have to do is insert the credit or debit cars used to prebook the service and wait until the barrier system opens and allows access to the car park. Once you have gained entry and then look for an available space on the site. Follow the same procedure when leaving the Jetpark at the exit gate. The minimum stay at Jetparks Manchester Airport is 2 days and there are some restrictions in place, maximum vehicle height is 2.2m and trailers are not permitted. Disabled parking bays are available and the shuttle bus is wheelchair friendly so Jetparks cater for all needs.